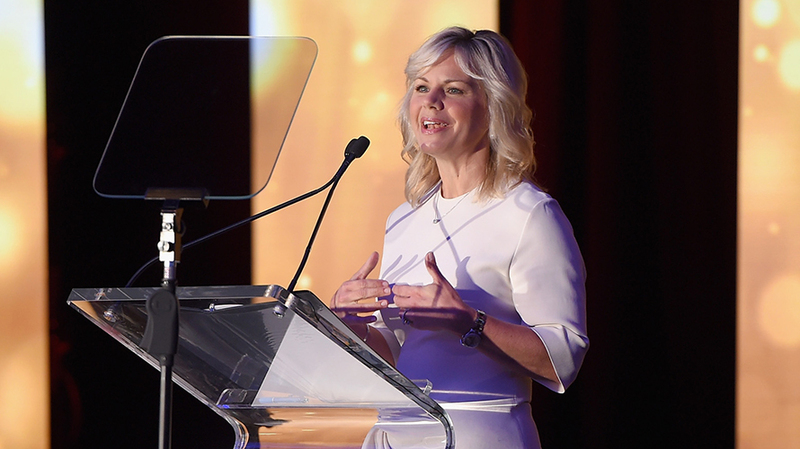 Gretchen Carlson spoke about advertising's impact on Fox News. At an Advertising Week panel on Tuesday, former Fox News anchor Gretchen Carlson complimented the advertising community for its ability to influence workplace culture at her former employer but said she hopes one day a hit to the pocketbook won’t be the only reason companies decide to make changes. Carlson’s comments were in reference to a question about the mass exodus of national advertisers from Fox News’s former No. 1 program, The O’Reilly Factor, earlier this year after an explosive New York Times article revealed that Bill O’Reilly and Fox News paid $13 million to five women who accused the star of harassment. The report was published on April 1, and the brand departure snowballed over the next two weeks. Nearly 50 national brands pulled spots from The O’Reilly Factor, influencing 21st Century Fox’s decision to part ways with O’Reilly on April 18. Carlson is a trailblazer, and her backstory is well known to those who work in or cover the media. The former Fox News anchor left the network after her contract expired in July 2016 and would go on to file a sexual harassment lawsuit against the late co-founder and chairman Roger Ailes over her termination. Carlson eventually received a settlement of $20 million and an apology after the lawsuit and ensuing scandal. “The tone there was really set from the top down,” said Carlson. The departure of Ailes transformed Fox News and created a snowball effect of accusations of harassment against Fox News hosts and executives. To the network’s credit, it seems to be taking those accusations far more seriously in the post-O’Reilly era. Fox News ousted host Eric Bolling this summer after an investigation into allegations of sexual harassment. Fox Business anchor Charles Payne was suspended after a conservative commentator accused him of sexual harassment, but he has since returned to the network. Carlson also plugged her upcoming book Be Fierce: Stop Harassment and Take Your Power Back, in which she lays out “a playbook for women to know what to do if they happen to find themselves in a harassment situation in the workplace.” The book hits shelves on Oct. 17. “I’m finding that there have been thousands of women who want to join this movement to take their power back in their lives in whatever way they feel they’re being attacked,” Carlson said.